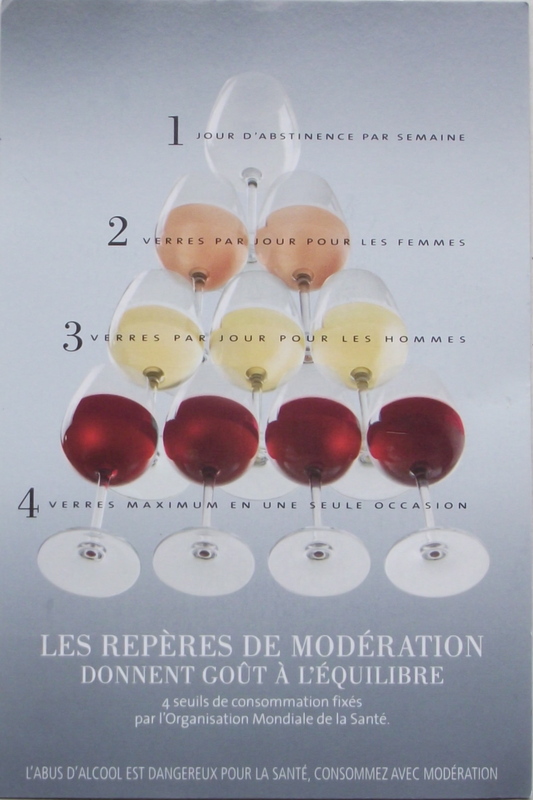 According to this postcard from a vineyard in Bordeaux, in order to have some moderation in your drinking, follow these basic rules: you should have one day a week when you don’t drink, women should only have two glasses at any time, men should only have three, and four should be the maximum in any occasion. What a pile of merde! Only two glasses for women? What, one per ovary? This trip to Bordeaux was actually done on a bus tour. Usually package tours are something I avoid like the plague — must be the control freak inside me that hates being stuck somewhere without any option of escape, possibly with people who are very annoying, and forced to eat food that is probably very bad. But considering the tour was free, and both my mother and my mother-in-law were in town to visit us in France, we decided to bite the bullet and take them. After all, after a few glasses of wine, family tends to get along better! It was a long, long trip from Toulouse to Bordeaux. Too long, to be honest. It took almost three hours to get there and three hours back. In total we travelled 420 kilometres! 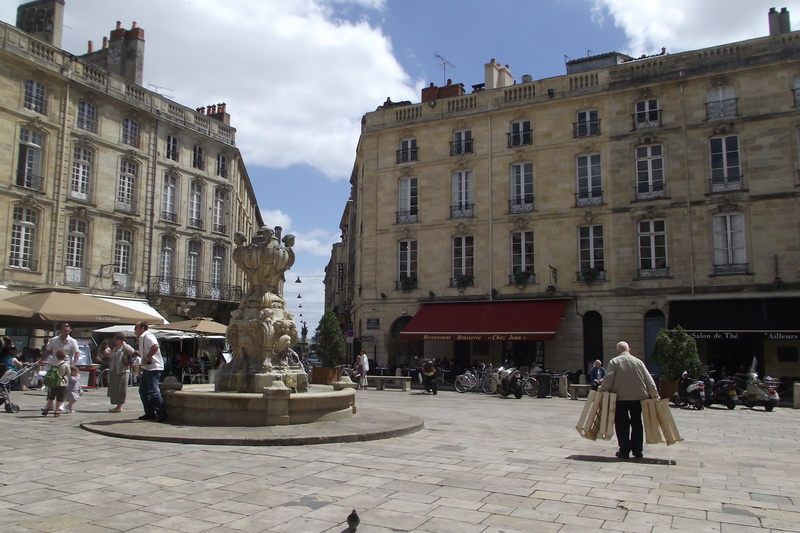 We spent so much time on the bus that we ended up spending just two hours in the city of Bordeaux itself, but we did get a nice look around. With a population of about 240,000 it is quite a bit smaller than Toulouse. 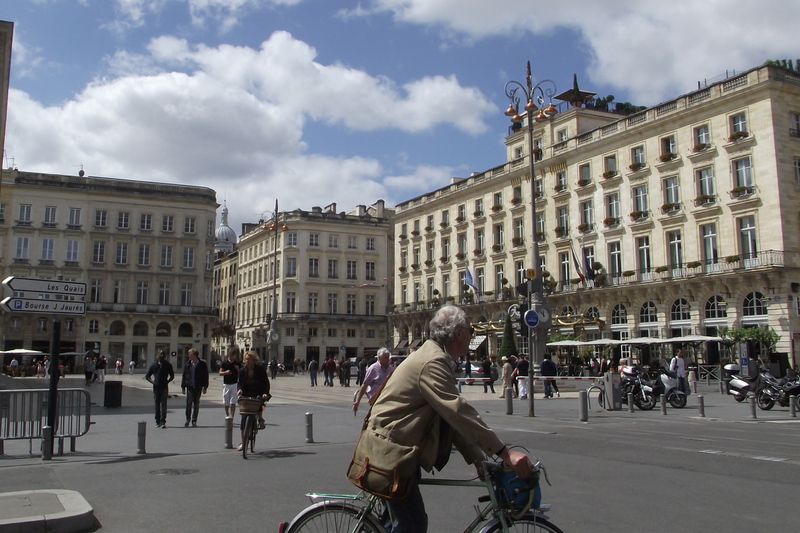 And if Toulouse is the Pink City, then Bordeaux is the White City, with almost every building made from limestone. All in all the trip was fine, and we did get to enjoy the wine tasting at a real Bordeaux winery that provided us with about a dozen varieties to taste. But let’s be honest — the real reason why most people go on ‘wine tasting’ tours is for wine drinking. None of us are pros though we know what tastes good. Nobody on the tour was spitting out the wine, hell no! That would be wasteful. Now if you’ll excuse me, it’s time for my daily two glasses of wine…. Previous Post France could fete! What a great time with your folks. It’s great to explore, and I, too, enjoy the experience at my own pace, etc.